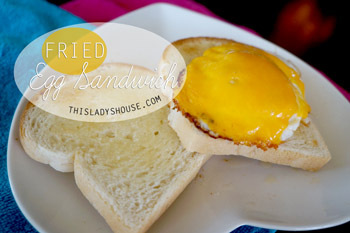 Fried Egg Sandwiches are a staple at our house! I like them with pepper jack cheese and home made salsa. What is your favorite way to eat an egg sandwich?